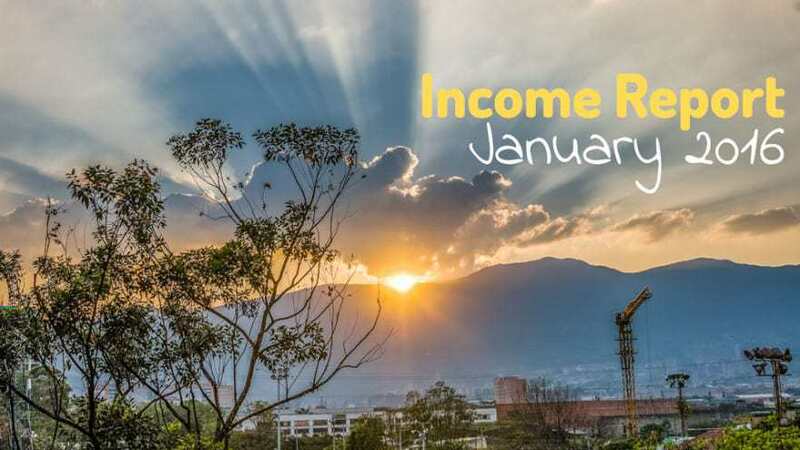 Overall income is down, which is probably to be expected after the Christmas holidays. The online passive income space, especially among the little guys like me, is expected to be a series of ups and downs. It’s always disappointing to log in and see that you didn’t make as much money as you need to make or hope you’d make. But that is the nature of breaking the tie between time worked and income produced. Most of January was not productive in any way in terms of work, but I still made some money. So I should be grateful for that. Referral sales through REI and Backcountry.com have been especially pathetic for the past few months. I am considering abandoning them entirely. 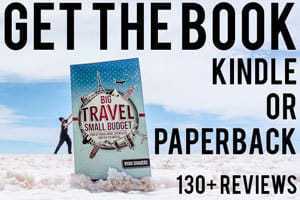 Considering that I released my book back in August of 2015, I’m still pretty pleased to be making more than $100 per month off of my book Big Travel, Small Budget. 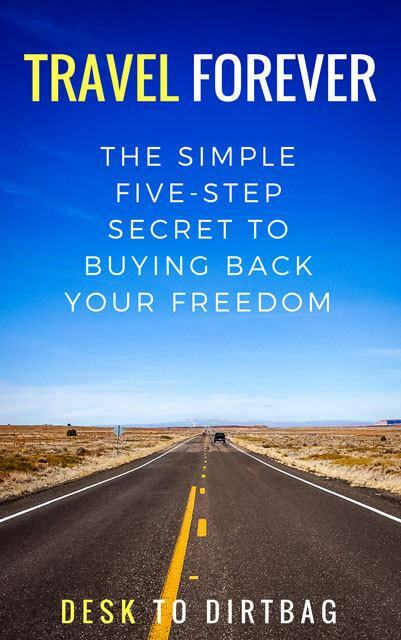 While it has fallen back in the bestseller ranks in the travel category, it continues to sell 1-2 copies at least every few days. The fact of the matter is, you can expect book sales to drop off considerably after about 30 days. But I’m going on month number 5 now, and it continues to sell! I’m also particularly proud that the book has almost 100 reviews… Amazing! If you’ve read the book, please do take a minute to leave a quick review. Breaking through the three figure review ceiling is a huge accomplishment. So yeah, January wasn’t the best start to the New Year. Earning is down overall on all fronts. But I’ve got some big plans for the coming year, which I hope will take things to the next level. Now that I’m not driving across Central America, I’ve got more time to dedicate to those goals. Indeed, if you hadn’t noticed, I just finished redesigning the website (have you seen the homepage?!)! I’ve had the same ol’ design ever since I first launched. I thought it was a good time for a change. If you’d like to support Desk to Dirtbag in any way, don’t forget to check out the Store, where I sell my goods and link to other awesome things. January saw us finally, officially finish off our drive through all of Central America and ship the truck to Colombia via container ship. We plugged away at the last bit of our journey to arrive in Medellin, Colombia, where I lived in 2014 and where Andrea calls home. 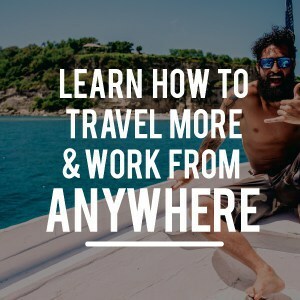 We are in the process of finding a place to live right now for the year and I plan to once again launch an Airbnb hosting biz (as I discussed in Big Travel, Small Budget) to live rent free. The past two weeks have seen me running like a mad man all over town looking at apartments and houses. The good news is that I think we’ve found the place and we should be (I hope) moving in by the next week or so. 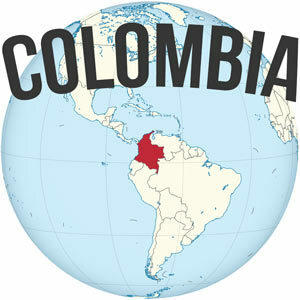 Even if I am only making $300 and some dollars per month, at least it goes a long way in Colombia (almost 1 million pesos). The exchange rate is favorable, the cost of living is even cheaper than before, and I’m more resolved than ever to make this work. Congrats on a good start to the year! I think you’re off to a good start and – with enough dedication – you will reach your goal by year end. No doubt about it. PS: – We’re currently traveling SE Asia. Can’t wait to visit central America.